A change of leadership has been announced at global paper and packaging company, Mondi, following the decision by current Group CEO, David Hathorn, to retire in February 2018. Hathorn will continue in his role at Group CEO until the company’s annual general meeting in May, at which time his role will be taken up by Peter Oswald, current Executive Director and CEO of the company’s Europe & International Division. Hathorn will continue to offer support as required and work in an executive capacity until his retirement next year. Mondi’s joint chairmen, David Williams and Fred Phaswana, praised Hathorn’s contribution to the company, which he joined in 1991 and led as CEO since 2000. “He was instrumental in the group’s international expansion and the development of the high-quality asset based that forms the foundation of the group today,” said Williams and Phaswana in a statement. Mondi supplies packing solutions to the cement and building materials industries, among others. The company was spun off from global mining business, Anglo American, in 2007, and listed on the Johannesberg and London stock exchanges. 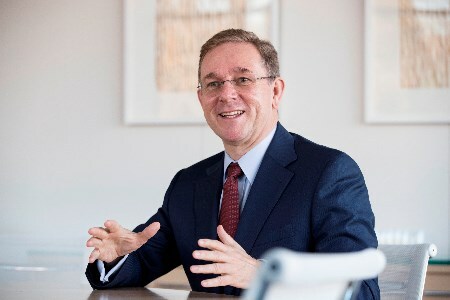 Oswald joined the company in 1992 and has been an Executive Director and CEO of the Europe & International Division since 2008. He also currently serves as Chairman of the Confederation of European Paper Industries. He will be based in Vienna. Image: Peter Oswald. Source: Mondi Group.